Celebrating World Puppet Day today! 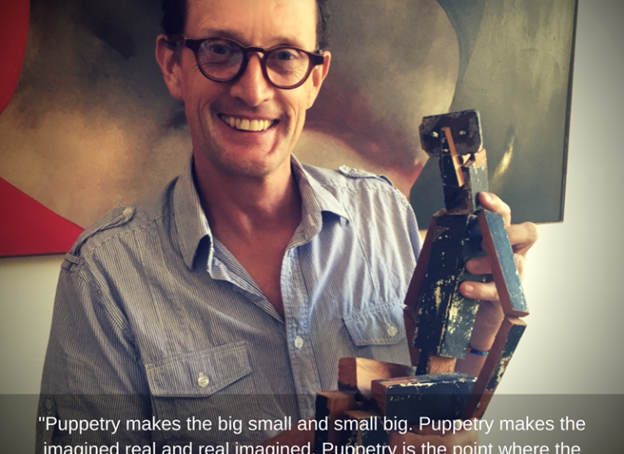 On March 21st puppeteers and people from all walks of life celebrate world’s puppetry day. Iranian puppet theater artist Javad Zolfaghari proposed the idea at the XVIII Congress of the Union Internationale de la Marionnette, (UNIMA) in 2000. The day was celebrated for the first time in 2003. This year people joined in on the fun by participating in a gigantic virtual parade of puppets. People were asked to make a cat puppet and then create a 30 second film with the puppet which was then compiled by UNIMA and shared across the globe. Last year, different people shared their love for puppets online, by posing with their creations. Confused about how to celebrate the day? Here are a few things you can do. • Upload a selfie with your puppet. You can buy one from the store or create your own using things you can find at home like a sock or a coke can. There are plenty of creative ideas available online that will help you create your own puppet. • Put up your own puppet show and invite your friends to bring their puppets along. You can also help kids make their puppets. It’d be a fun activity for the little ones. • Do some research on puppetry. See how puppetry started and how the art has evolved over the years, you can also explore how puppet shows differ from country to country. Learning is always fun! • Find out about puppeteering activities around your city, take your puppet with you and enjoy with other puppeteers and puppet show lovers.